Did you know there was a real Lord Grantham? 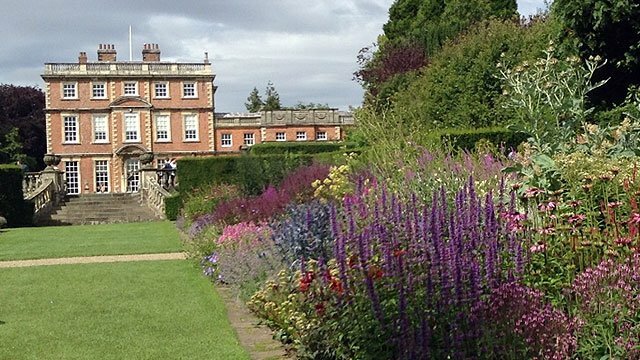 Neither did I until a good friend told me about her visit to Newby Hall, the ancestral home of Richard Compton, the seventh great grandson of Thomas Philip de Grey. 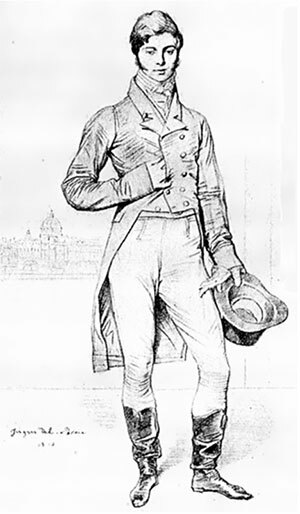 He was the 3rd Baron Grantham who from 1786 to 1833 went by the title Lord Grantham. My friend was introduced to Newby last summer by friends during a trip to North Yorkshire. Their primary purpose being to check out the Hall’s architecture, as Christopher Wren is known to have assisted in its design. 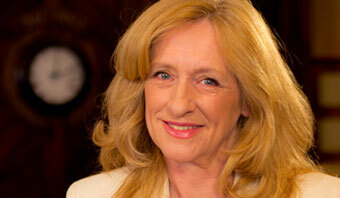 What they didn’t expect to discover was Newby’s uncanny resemblance to Downton. 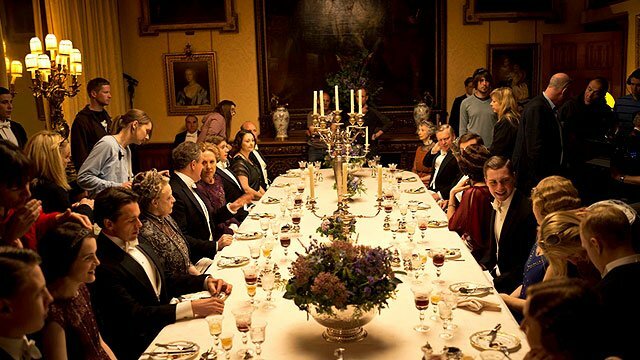 The similarities don’t just stop with the manse’s physical appearance and its connection to the Lord Grantham who inherited the home in 1792, but there are other parallels to the television series as well. Like the character Hugh Bonneville plays, the non-fictional Lord Grantham had a daughter named Lady Mary. 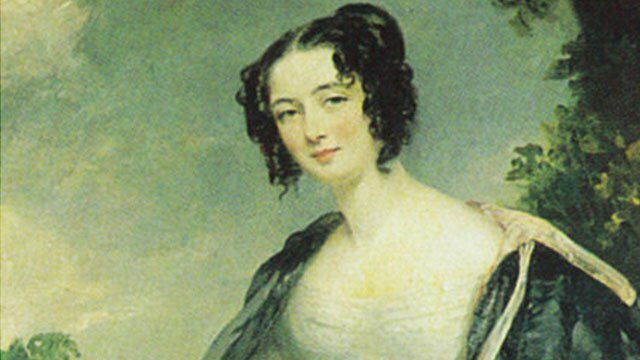 She would eventually inherit Newby after her marriage and it would then pass to her son - Robert. His daughter, also called Mary, lived there during World War I and was the great grandmother of the current owner. 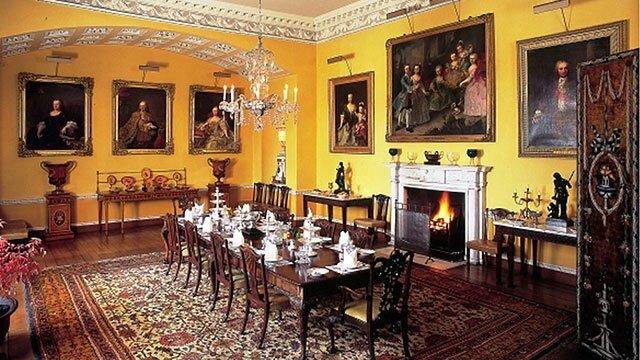 Just like in Robert Crawley’s home, a portrait of Lord Grantham hangs in the dining room of Newby Hall, which also happens to be located in the same area where the television series is set; North Yorkshire. Neighboring towns and villages include Ripon, Thirsk, Skelton and Easingwood – all places that Fellowes has his fictional characters make reference to in the series. According to a report in the Telegraph, Lord Fellowes insists that Newby is “connected to Downton by coincidence, nothing more” and that the name Grantham stems from the town of Grantham in Lincolnshire, where Fellowes fled to as a boy after running away from school. 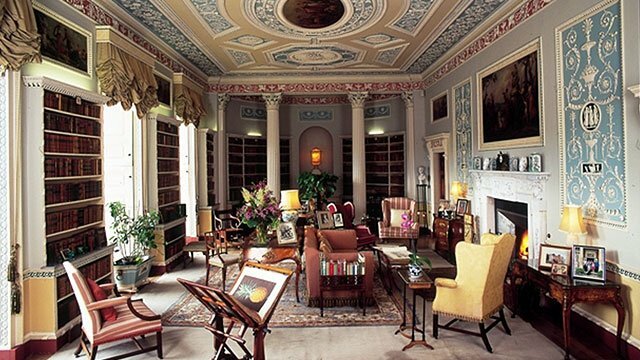 Fellowes does though admit to a fondness for Newby, calling it "one of my favourite houses in Yorkshire". So fond is Fellowes that, when seeking a location in which to film Downton, he and his crew inspected it as a potential site. As fans of the series no doubt know, Highclere Castle, situated 200 miles south of Newby in Berkshire, would end up being chosen. 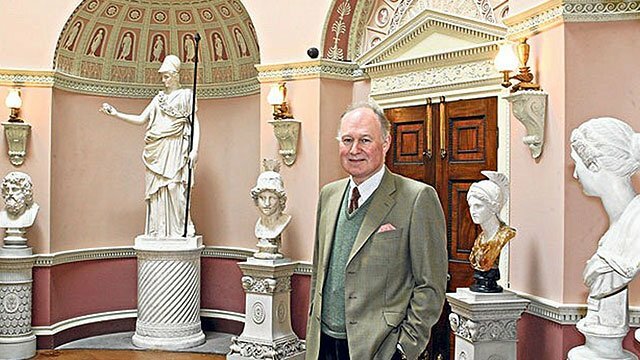 Newby’s current owner inherited the hall in 1997 from his father Robin, who, like Lady Edith, chaired a magazine publishing company in London. 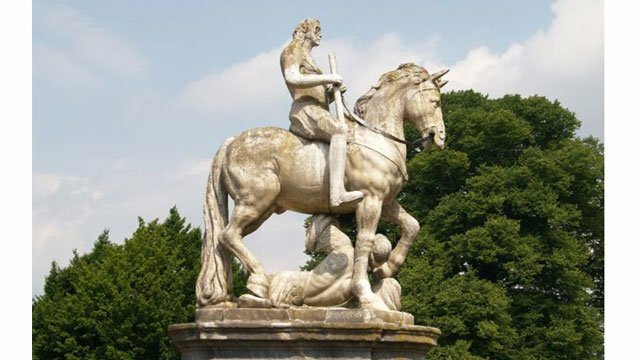 This, along with the fact that under the hooves of an equestrian statue displayed prominently near the main entrance to Newby Hall is a Turk (Compton’s great-great uncle was murdered by Turkish bandits in Athens), is probably just another in a series of what Fellowes has called "spooky coincidences". There though the similarities appear to end. Unlike the Crawleys, Compton and his wife Lucinda are not waited on by servants. Instead, according to an interview Compton gave a couple of years ago, they take their meals in a small kitchen that is part of their three-bedroom home attached to the main house. No one draws their blinds for them in the morning. In fact, it appears the blinds are rarely raised, for to do so would give visitors to Newby a glimpse into the owners’ private lives – and, as Compton said, they’d rather not be seen doing the dishes. 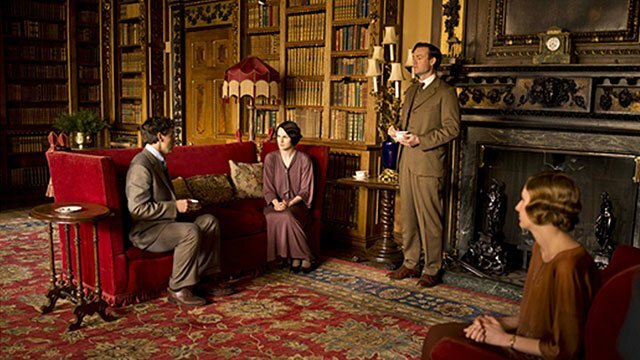 Downton Abbey airs Sundays evenings at 9pm on MPT. 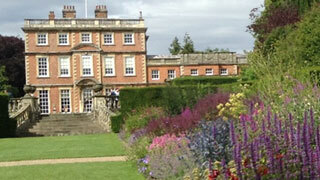 Newby Hall & Gardens is open annually April to the end of September and you can find out more at www.newbyhall.com.